No Apple or Avid at NAB-08. In an interesting move, Apple has pulled out of NAB as reported from various sources and confirmed by Television Broadcast. This move follows Avid’s recent announcement of their non-participation in the annual broadcaster / media / technology expo in Las Vegas. Final Cut Studio too onerous? try FastCut RT for €24. 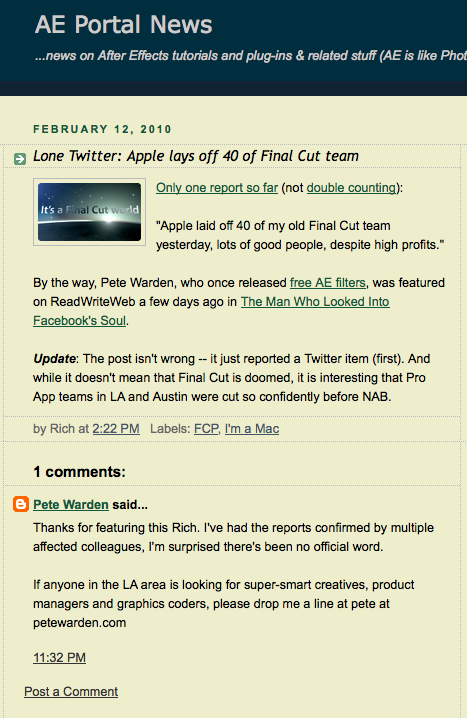 Admittedly, it’s not Final Cut Studio. It’s not Final Cut Pro, or Premiere Pro. Okay, it’s not even Final Cut Express. But it’s only 24 Euro and it offers real-time editing!